You can find on this page a map showing Berlin boroughs and neighborhoods. 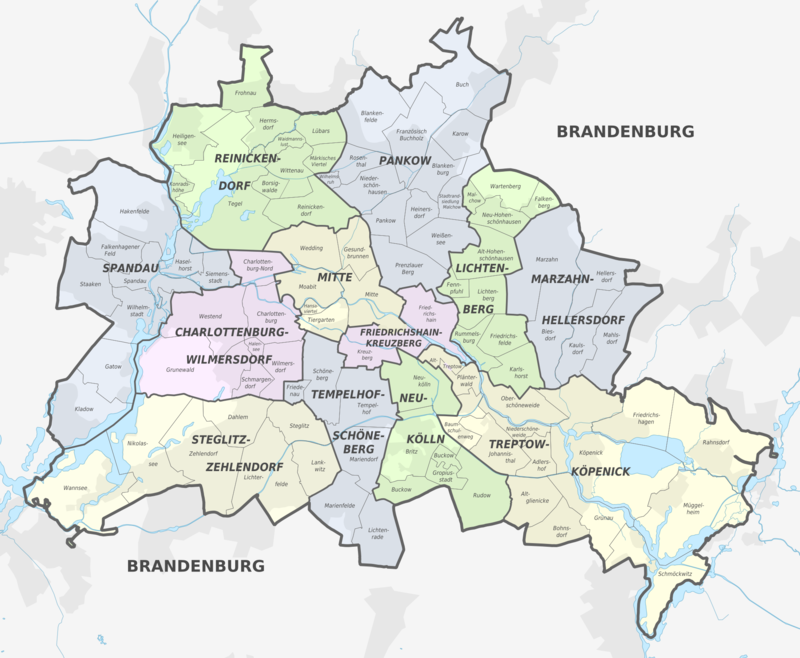 Berlin boroughs & districts are the administrative divisions that share Berlin in 12 municipal boroughs. Within each of its boroughs, the neighborhoods are making the charm and the reputation of the city of Berlin. The division of Berlin into boroughs or districts dates from 1920 with a division into 23 districts and 12 districts in June 2001.